Will Close at 6:00 pm, Saturday February 28, 2015. The City Administration gave us us a Termination Notice without consulting with the community or discussion with us. Councilmember Ron Menor, State Representative Henry Aquino, State Representative Ty Cullen and Village Park Community Association President Maureen Andrade worked hard trying to solve this problem. Unfortunately, the City's actions left us in such a weaken financial state that we cannot continue to operate. 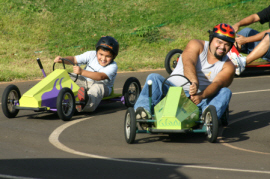 Hopefully the City will find a new operator to step in and reopen the Box Car Track in Kunia. 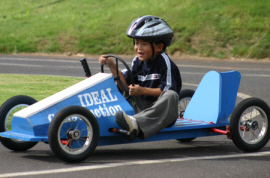 More than 200,000 youth and parents have had great family times at the track over the years. We apologize to the community for not being able to keep the facility open and weather the City's changing terms of our "Public-Private" Partnership. 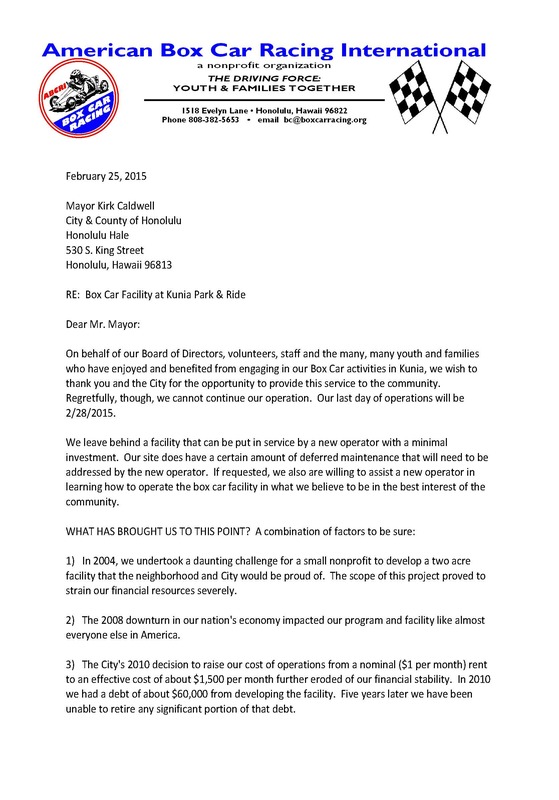 Below is a copy of our letter to Mayor Caldwell. 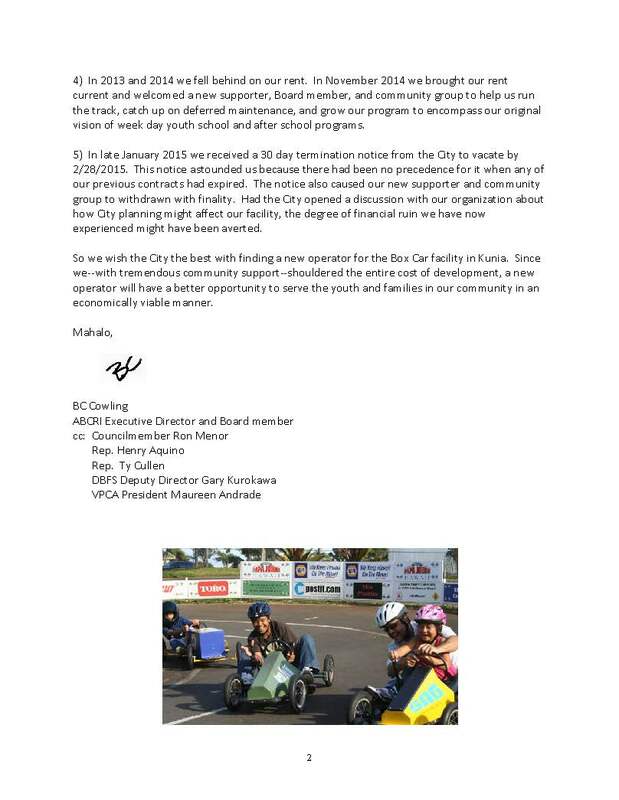 If you want to help the box car track reopen, call or email Mayor Kirk Caldwell and tell him so. email mayor@honolulu.gov Mayor's office phone 523-4141. 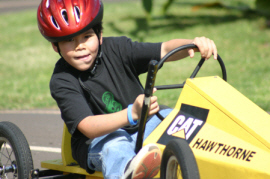 American Box Car Racing International is a local nonprofit organization serving Hawaii's Youth and Families since 1996.
acquire new skills, build leadership and become safer drivers.